NTV senior political reporter Richard Chacha has come out to dispel rumours that he had been sacked. Blogger Robert Alai this week published a story claiming that Chacha had been sacked by General Manager Linus Kaikai for being ‘crippled and unproductive’. 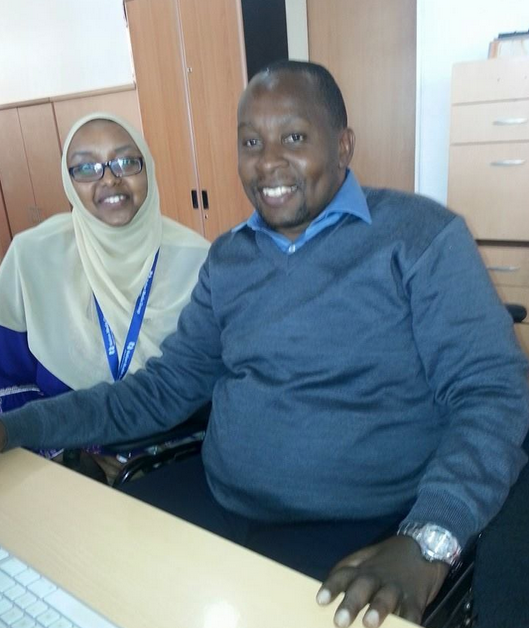 Journalist Richard Chacha was left paralyzed from his waist downwards, after a 2012 accident which also saw Linus Kaikai hospitalized for a while. Robert Alai had also claimed that Debarl Ainea has also been shown the door as part of the cost saving measures.